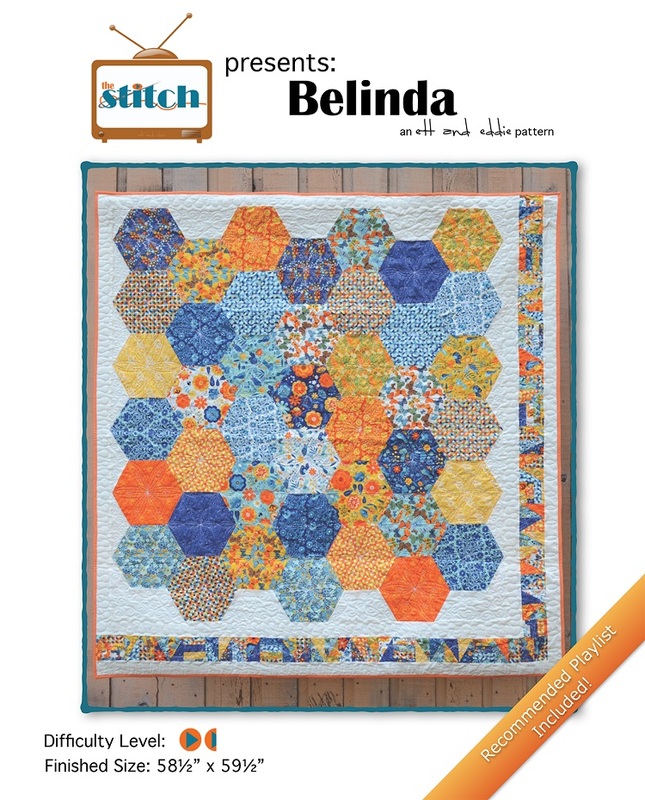 We are excited to share the Belinda quilt! Belinda was inspired by a challenge I took part in way back in 2012, to learn to machine piece hexagons. Needless to say, I was hooked! This also makes use of another favorite technique of mine: buffalo bits! 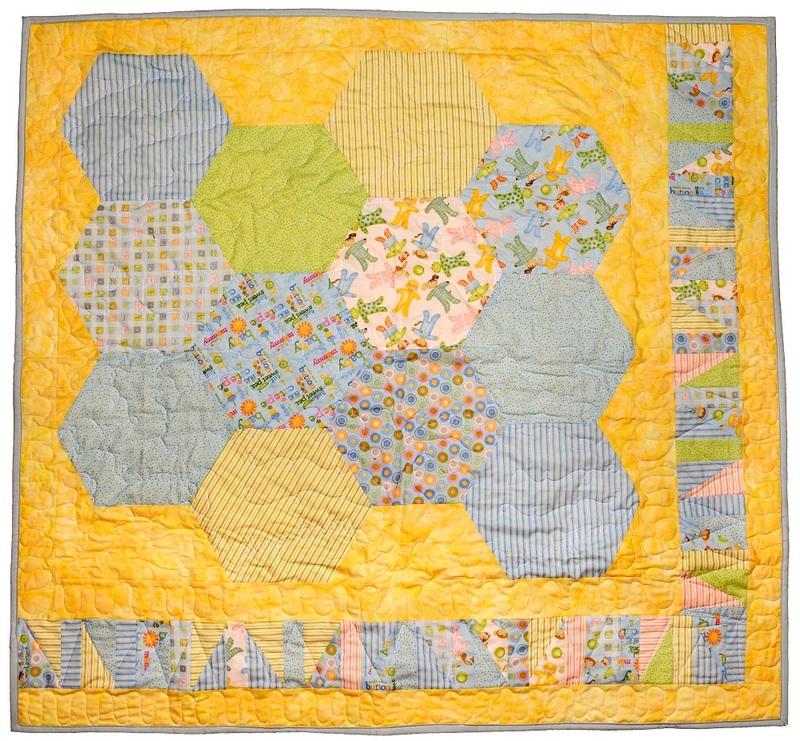 Using all the small parts of you cut off to make the hexagons, you create enough for the border. Belinda’s name comes from the oversized sweatshirts that her namesake totally rocked in the 1980’s. Go on and re-watch the video from Head over Heels. You know you want to! You can learn a little more about the quilt in this short intro video to the quilt pattern! I am totally wearing a Swatch Watch with my jean jacket, but our dance moves are not as groovy as the Go-Go’s. I mention in the video how helpful a 60 degree triangle ruler is, but you can make the quilt without it! We’ve included a paper template so you can mark and trim the hexagons with a regular quilt ruler. There are a ton of pictures to show the process along the way, so you’ll learn how to cut and sew those hexagons together with your sewing machine. If you don’t want to tackle the lap size, you can scale it back with 6 fat quarters and make a baby version like Lynn did!